Apple Vale Alpacas: Letting go. What a fabulous day it has been today! 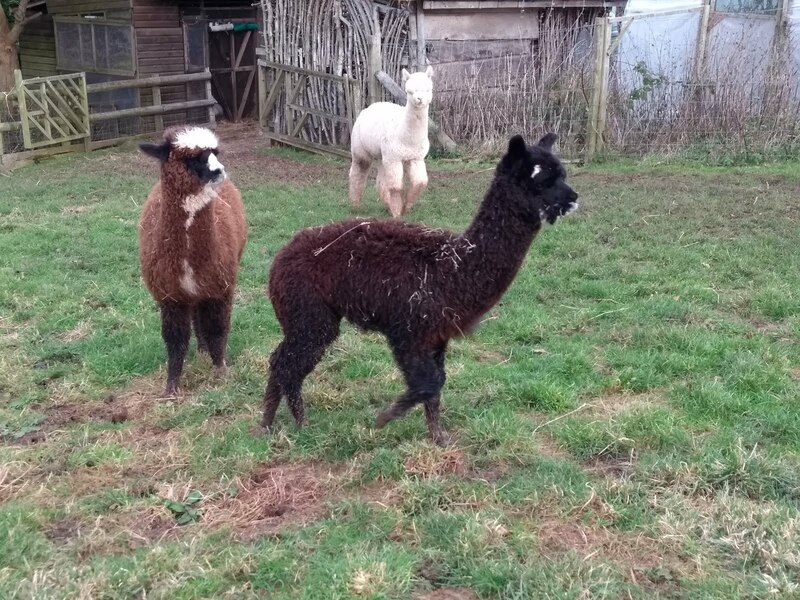 As I said in the last post, we have sold a group of three females to start a new herd for a lovely couple, who chose Apple Vale Bramley, Golden Delicious and Flamenco, a brown and two fawns. 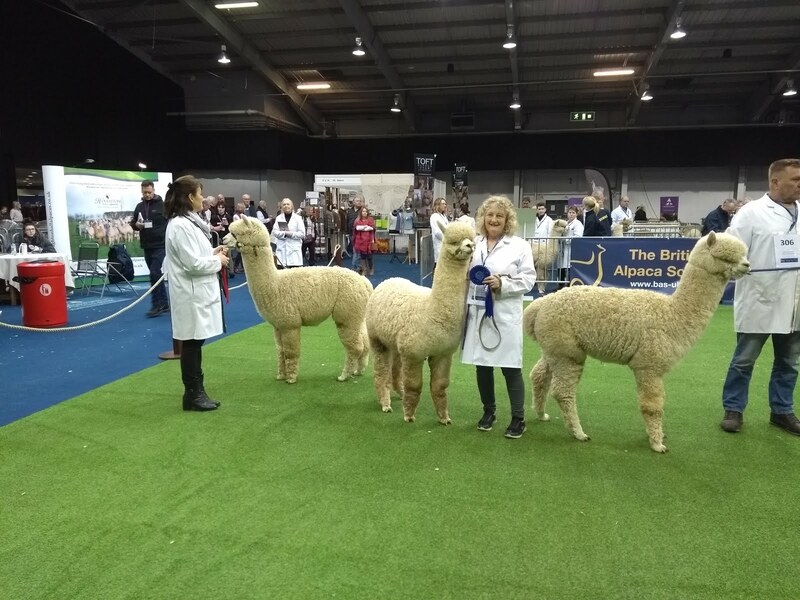 These three have fabulous temperaments, and Bramley has been the queen of the 'selfie' for most visitors. 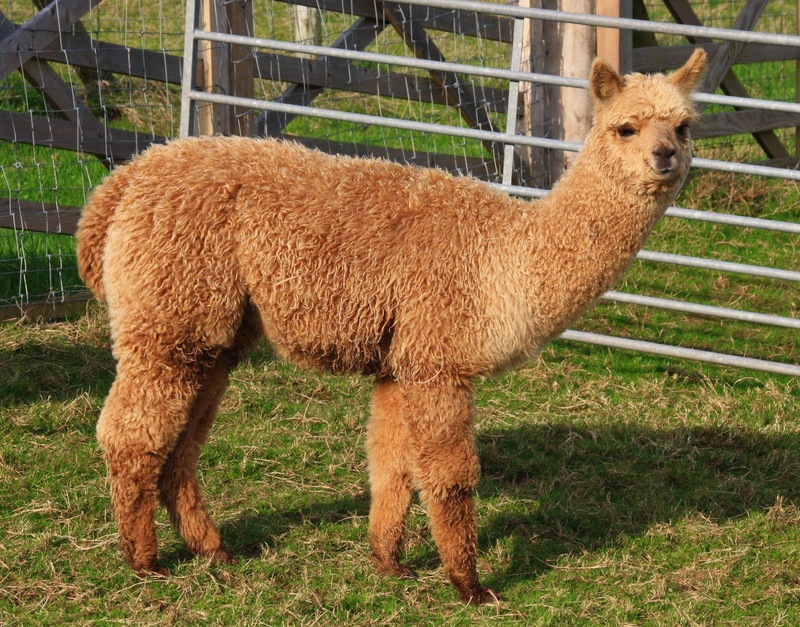 Sired by CME Centurion, and born on my birthday five years ago, she was our third cria, and became a real favourite. 'Delicious was our first cria born to a female that had been born on the farm, and had to be bottle fed due to lack of mothers milk, so became easy to handle - she gave birth to Flamenco last year, sired by our herdsire, EPC columbus of Patou, and her second fleece is starting to look very good. The mating has been repeated for the new owners, and Delicious' temperament has changed in days! Bramley gave us two fabulous females, courtesy of sire Van Diemen Qjori of Patou, who will take forward her characteristics. So when Joy told me she'd sold them, I had to get used to the idea of 'letting go' - and yesterday we delivered them to their new home, where they have some lovely paddocks laid out, and we wish Caroline and Jeff every success, and look forward to hearing their progress, as they are only around 12 miles away. Meanwhile, we heard last year that three males we had sold, had moved to a new owner, who had a small-holding in the next village, and they were helping to clear bramble scrub from a hillside - so last weekend we went for a cycle, and managed to find them, and a grand job they are doing - the funny thing is, that although they are in the next village, they are at the end of a long track, which is almost back in our village, albeit several fields away, and from our morning dog-walk, we can occasionally see the boys as specks on the hillside! We were welcomed in, and climbed up the hill to see the boys - very quickly, we reallised that they remembered us, and to the astonishment of the owner, without corralling them, I was able to put my arm around them while we rummaged in their fleeces! We are going away for a holiday soon (our daughter and family will be house sitters), and so I have been trying to get the herd organized into easily-looked-after paddocks, and again getting used to the idea of 'letting go' for a while. Tomorrow, I have an interview for a small radio feature, more on that when it comes to fruition. Life sounds busy! Always lovely to 're see' alpacas who have gone to new homes - and even better when they remember you! Looking forward to hearing about the radio interview! 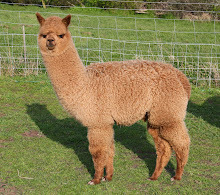 I think I need a reminder of the definition of selling alpacas ...I may have got it confused with buying! 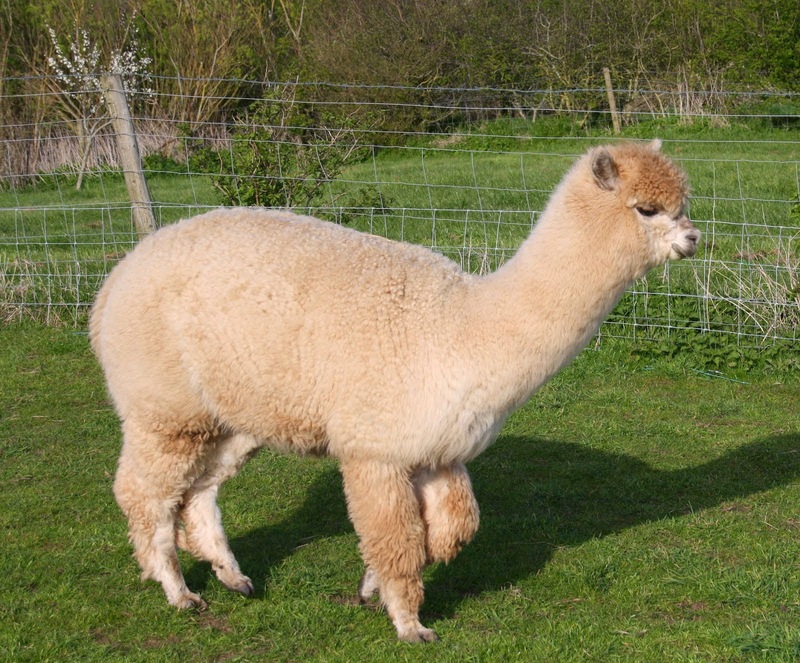 However, I do recall how lovely it is setting new owners out on their alpaca adventures.